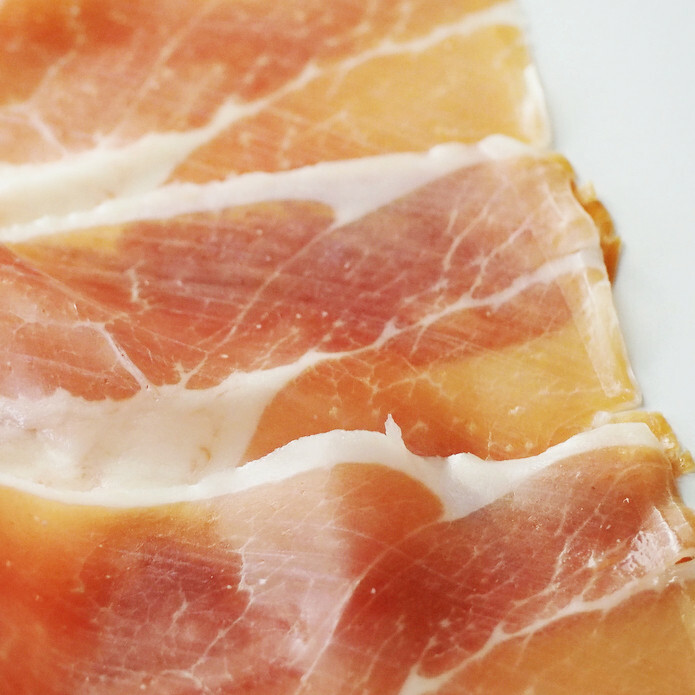 ¡Un delicioso producto de España, Spanish Serrano Ham! 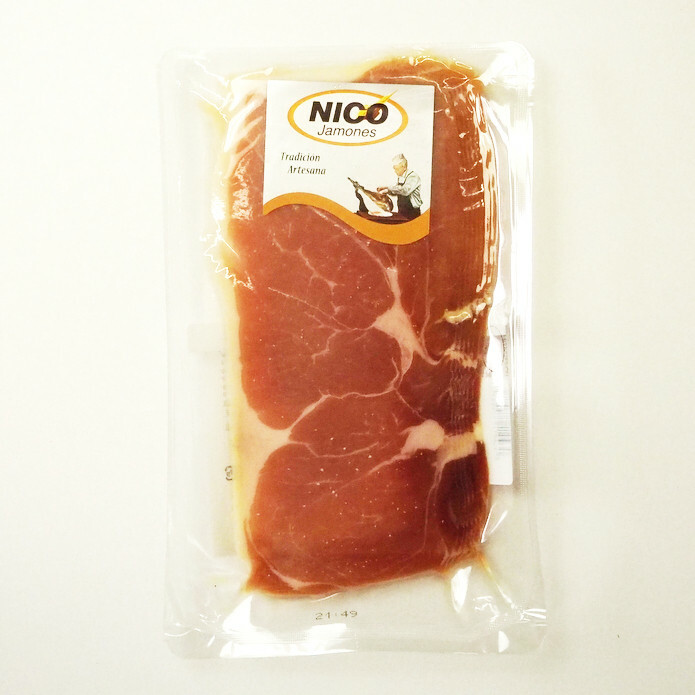 We teamed up with a NICO Jamones to bring you this delicacy. The guys over at NICO Jamones have been cutting and selecting the finest meat for over 50 years and they dont plan to stop any time soon! ¡Que Bueno ! 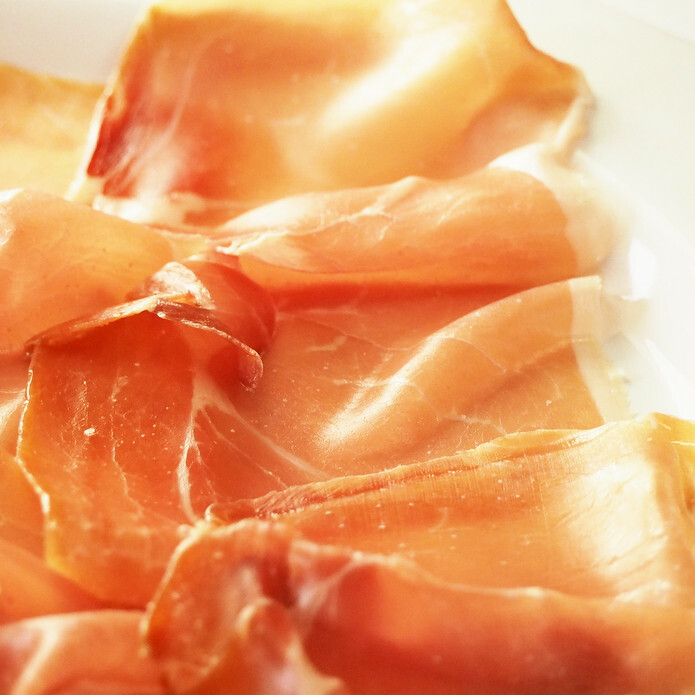 These are high -quality ham slices, give them a try! This comes with 7 slices that you can easily cut and enjoy in your own home, but if you want to be fancy~ try them with your wine. You could even invite The Meat Guy over for a pretentious dinner. Be fancy~ and add this to a wine and cheese snack time, or be BARBARIC and impress your friends by pretending to eat raw meat. It really depends on what you're in the mood for man. They can be eaten right out of the refrigerator after thawing! 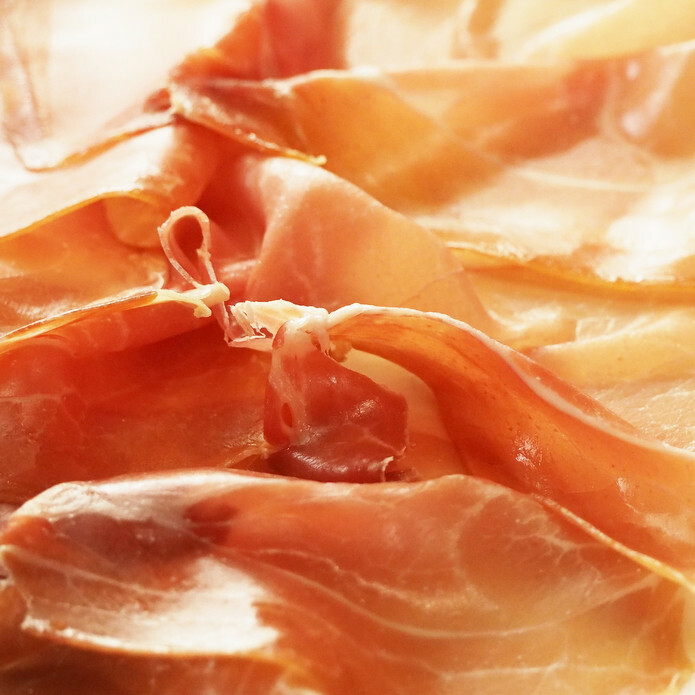 Production Process：The meat is dried for 9 months until at the desired NICO Jamones quality. Then it is cut into slices. 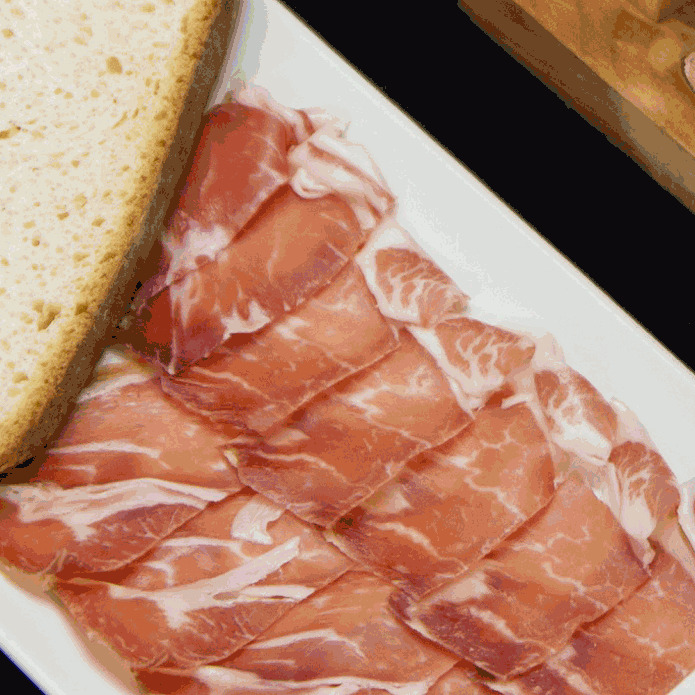 Serrano Ham slices and Prosciutto?：Spanish Ham slices、Italian Prosciutto, properly salt cure these slices to enjoy Italian Prosciutto!